A heady emporium of delight concealed behind a secret jade door in Chinatown, Opium is a speakeasy-style cocktail lounge and dim sum parlour. 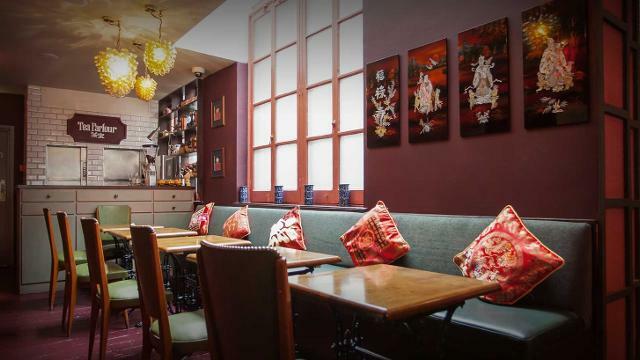 Set over three floors of a historic townhouse, Opium takes inspiration from all things Chinese, from the ingredients and flavours used in the cocktail list, to the compact dim sum menu and vintage decor. The attic area has an open-kitchen-style bar, The Bartender's Table, where guests can immerse themselves in the theatre of drink-making. Opium is a late-night drinking and dining den, open until 3am at weekends. Is Opium Cocktail and Dim Sum Parlour your business?